Communication temptations are pretty much just what they sound like: we set up the environment to tempt children to communicate with us. The rationale for using them is also a pretty simple one: a child is much more likely to communicate if he has a reason for doing so! How Do I Setup Communication Temptations? Waving bye-bye and saying "bye" as you put toys in a box three times, then pausing right before you put away the next toy. Each of these ideas has one thing in common- the environment is set up so that a child is tempted to communicate about something ("no, I don't want that!" "what is that?" "yuck" or "bye!"). Another form of communication temptation involves enticing a child to request. This is a great place to start for any child, but it's especially good for kids with autism, because requesting is often the easiest form of communication for these children at first. Find an activity or an object that your child really enjoys. Look for an activity that is easily stopped and started (e.g., bubbles or a swing) or an object that has multiple parts that you can hand to your child (e.g., crackers that he loves to eat, cars for a car track). Arrange the environment so that you create an obstacle to getting that object, but so that your child can see the object. For example, put your child's favorite crackers up on a high shelf. Or, put the cars in see-through container he can't open. Start the activity, have a bit of fun and then stop (put the lid on the bubbles or pull him up in the swing but don't let him go) or give him one item (e.g., give him one cracker or one car). 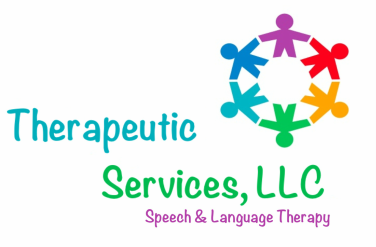 Build on his communication just a bit to help him move into the next stage of speech and language development. What you actually do for step number five depends completely on your child and his current level of communication. If your child imitates the word, or even part of the word, give him what he wants and cheer him on! If your child always imitates your words, but doesn't say them on his own, try waiting progressively longer before you say the word for what he wants; wait for one second and then say the word, then (the next time), wait for two seconds before saying the word, then (the next time, wait for three seconds before saying the word....and so on. If he gets frustrated, go back to waiting a shorter amount of time and build up again. If your child uses a longer phrase, but makes an error, you can correct his error by conversationally repeating what he said (your child: "wing!" you: "sssssswing!") and encourage him to imitate you accurately. You might also think about using communication temptations to teach your child to use baby signs or pictures to communicate. No matter what your child's level, communication temptations are often a very successful way to create opportunities for your child to advance her communication skills. Tempt away!